I found the other fine sellers. They were selling many kinds of antiques. Their collections are made by famous potters and have very high prices too. Kanazawa is one of the best historical districts in Japan. 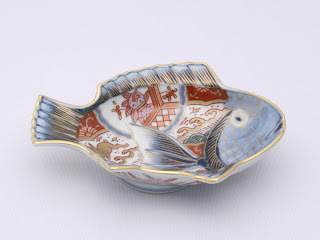 The district was governed by one of the big families in Edo period. The family loved tea ceremony and cultures. They made a big Japanese garden in Kanazawa. It is the one of the best three Japanese gardens in the present time. No wonder, many intellectual people come from the area. And there are many excellent potters in the area. Some families have been making pottery for 300 years. The antique owner recommended me one potter family. Their name is Chozaemon Ohi. The current Chozaemon is the 10th generation. The 10th Chozaemon’s sake bottle was $800. The 8th Chozaemon’s sake cup was $500. The cup was so small, approximately 0.5oz. capacity. I cannot believe it was $500. The 7th Chozaemon’s vase was over $2000. They told me it is good price and sold several Chozaemon’s items. The history is not popular price.